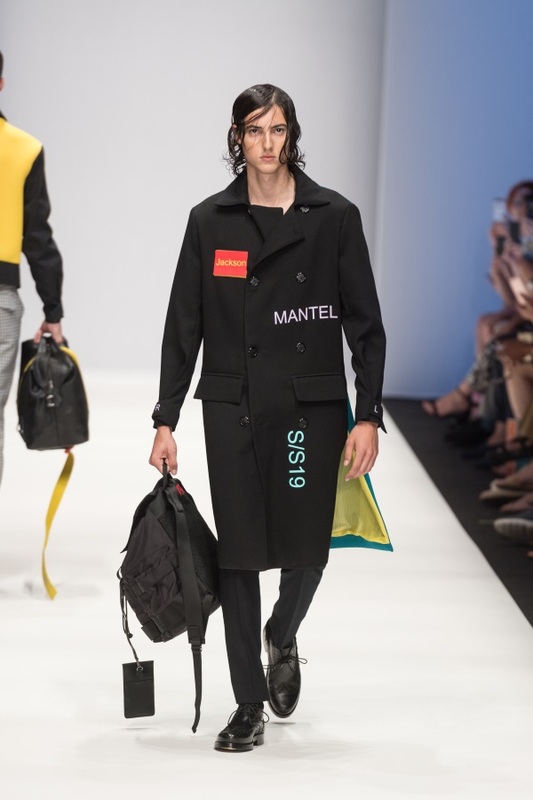 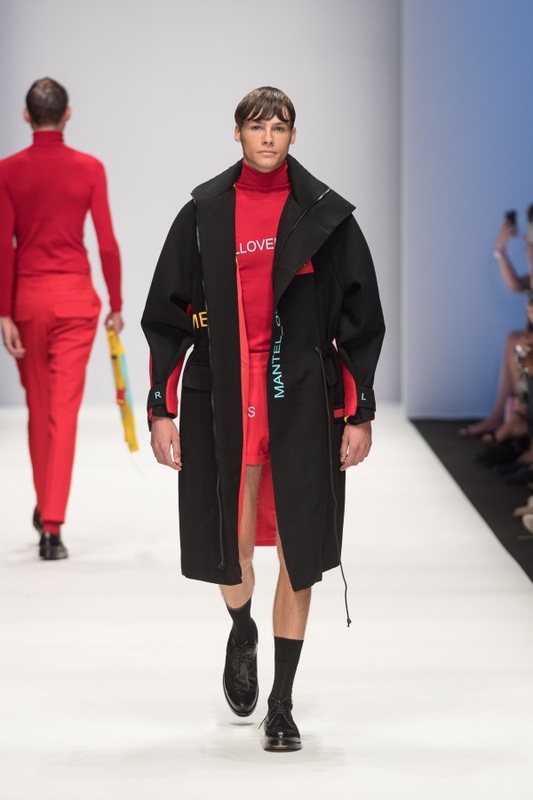 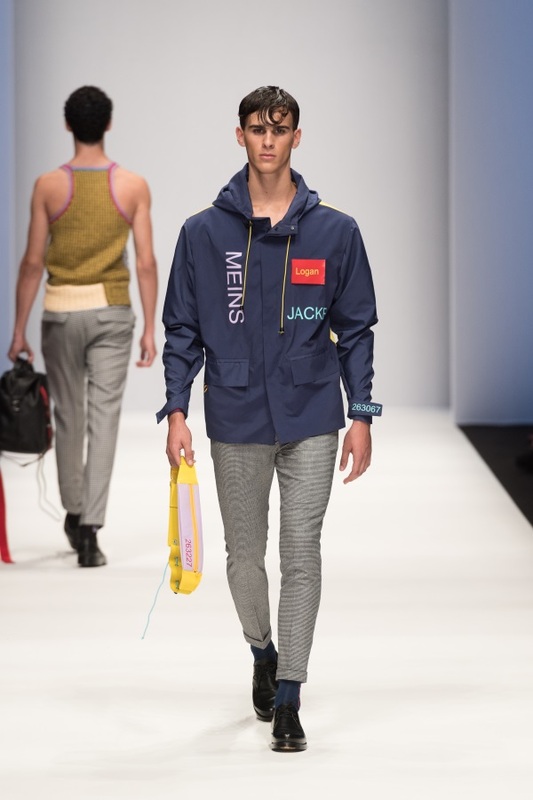 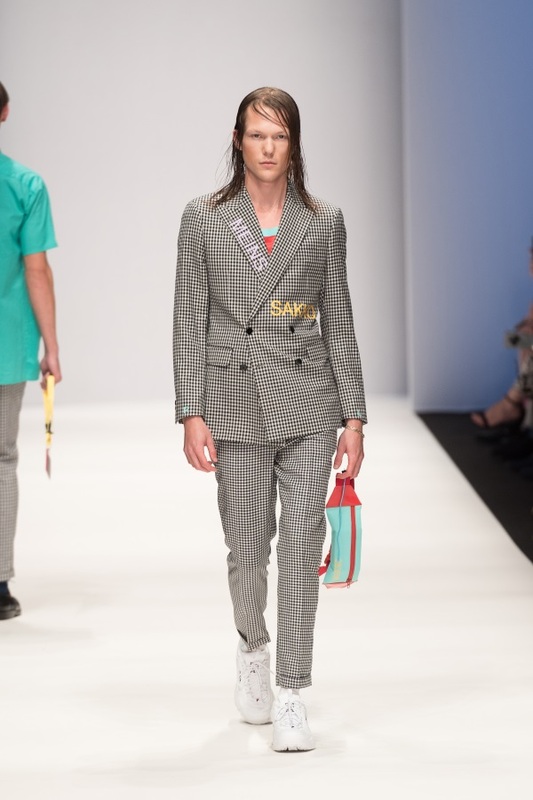 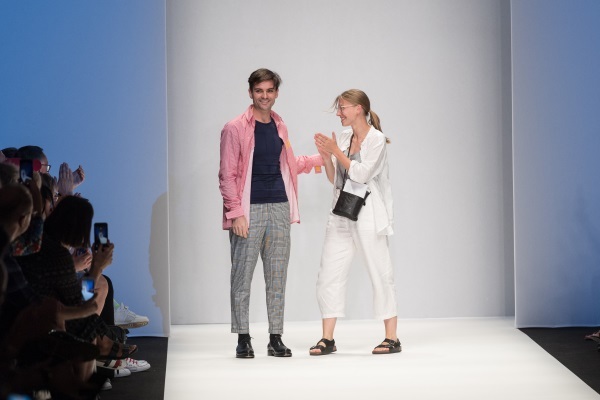 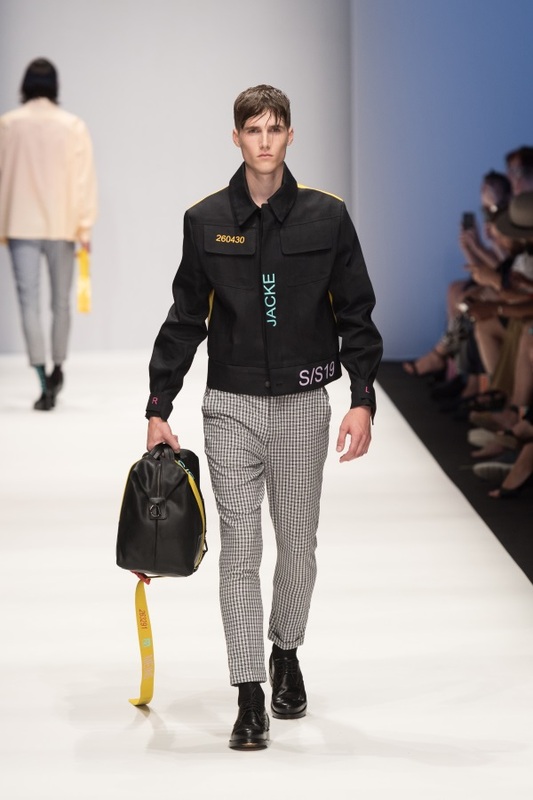 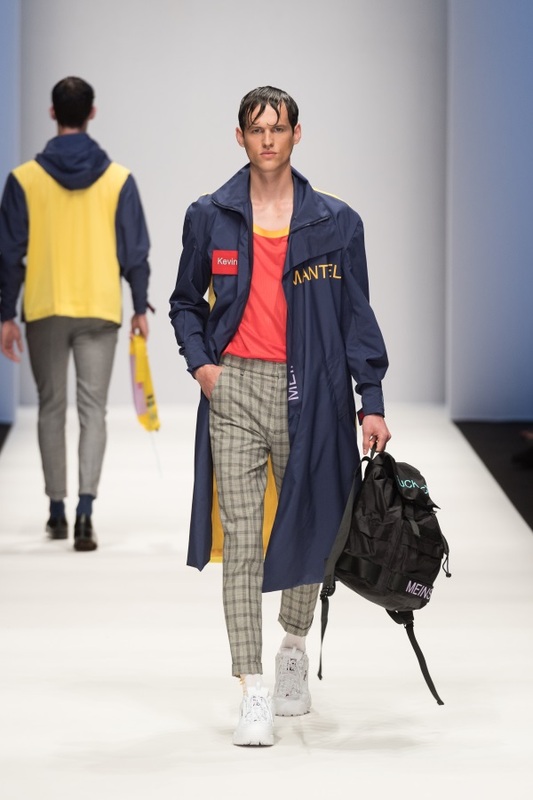 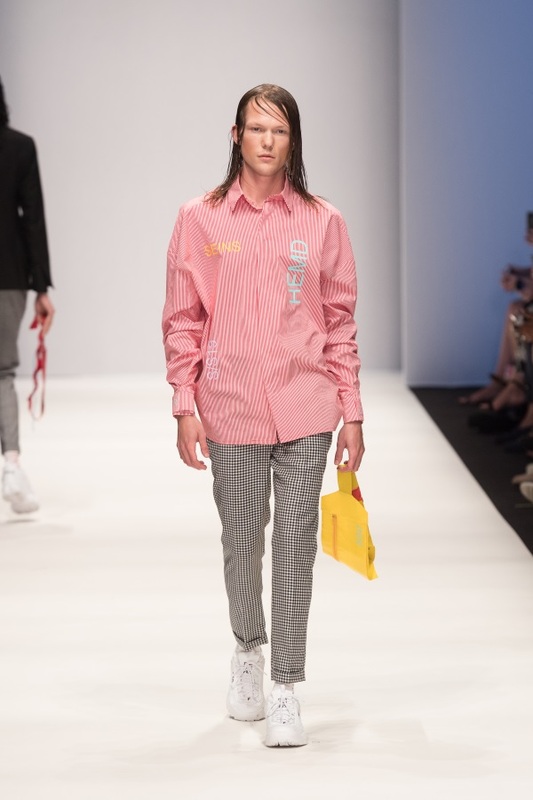 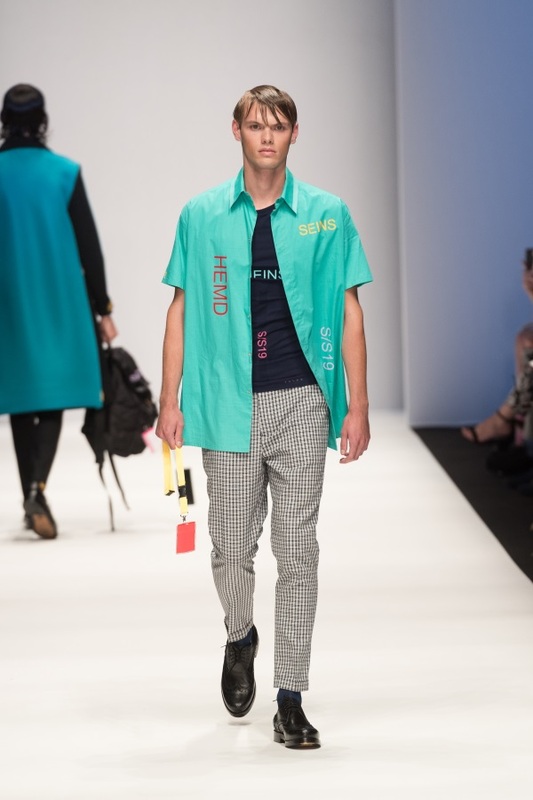 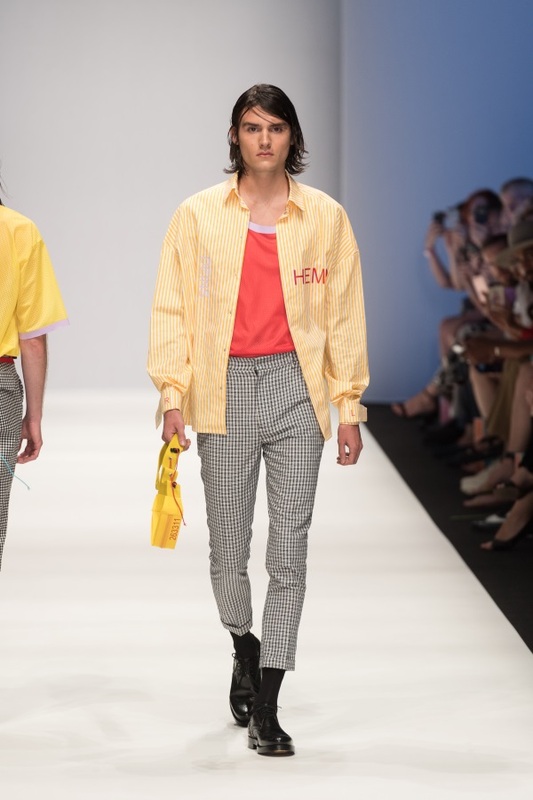 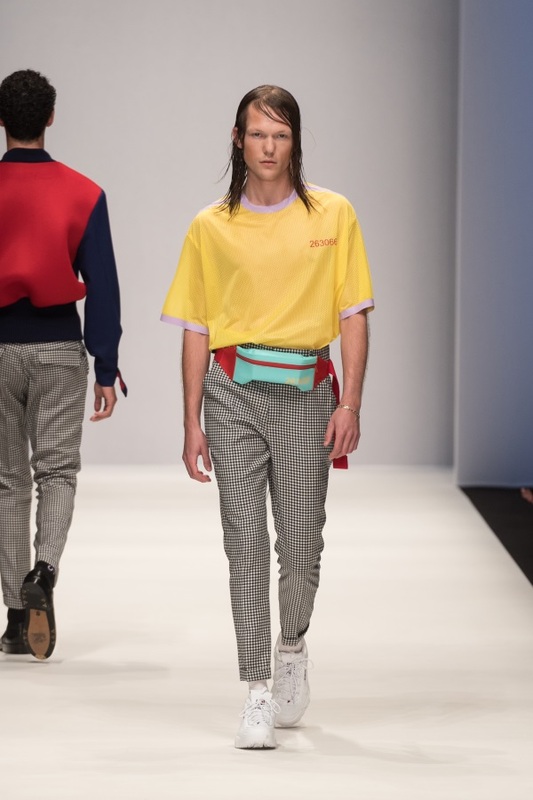 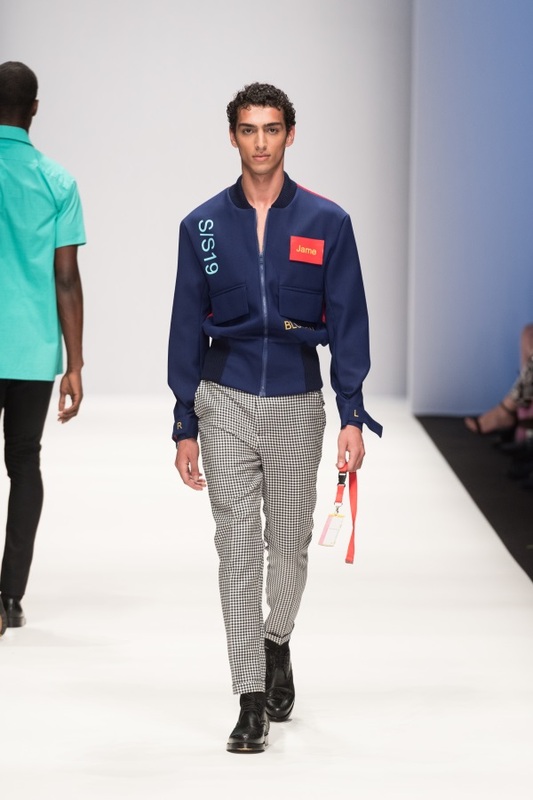 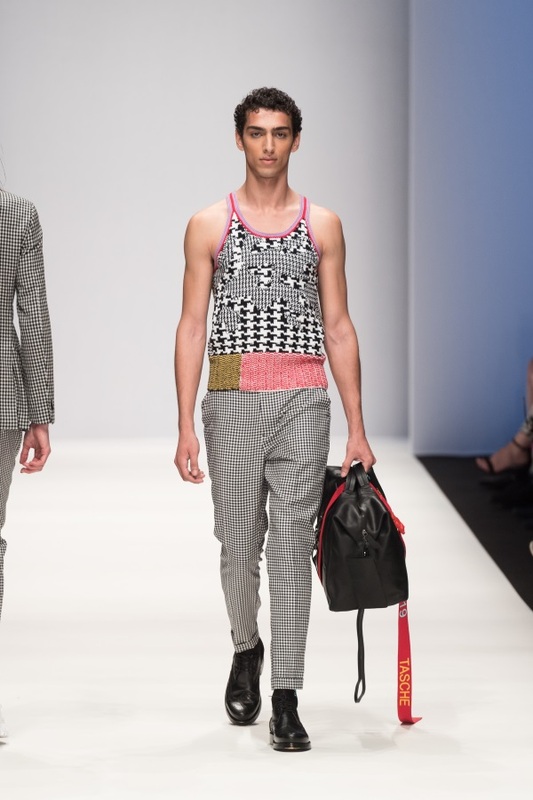 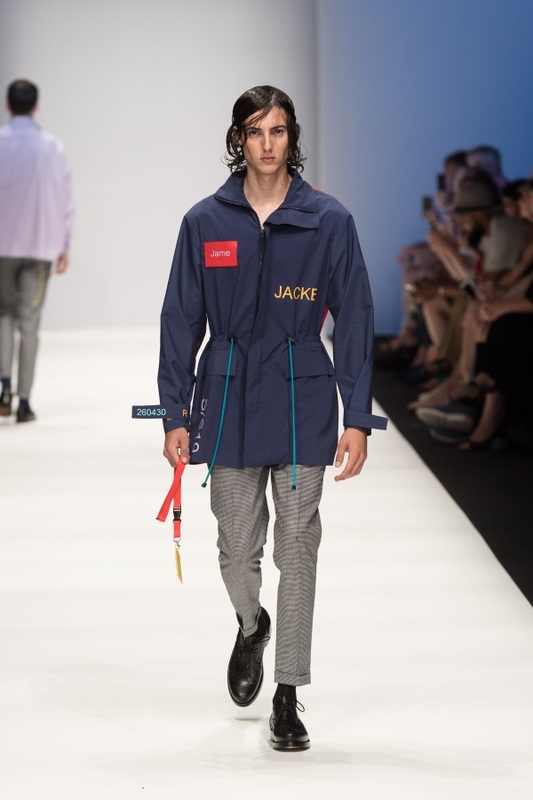 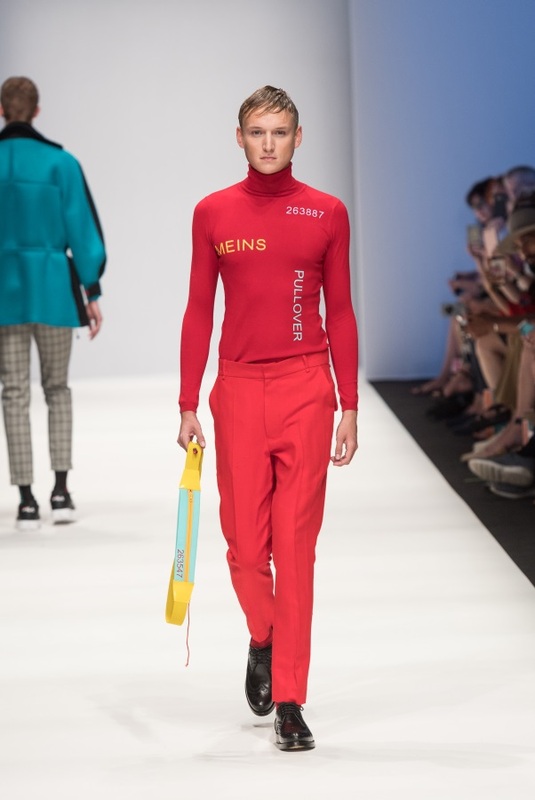 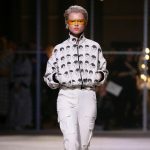 The inspiration behind IVANMAN SS19 Men Collection presented at Mercedes-Benz Fashion Week Berlin, was the New York stock exchange and everything that involves around it. 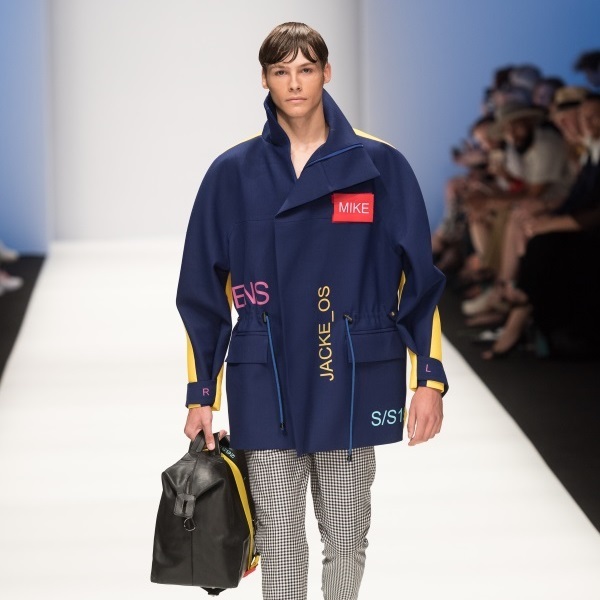 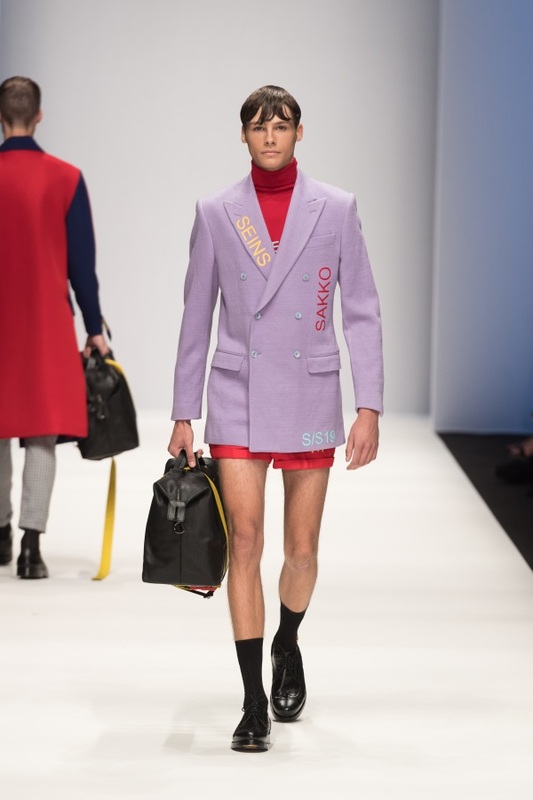 The series business looks were softened by wearable, colourful sporty compositions. 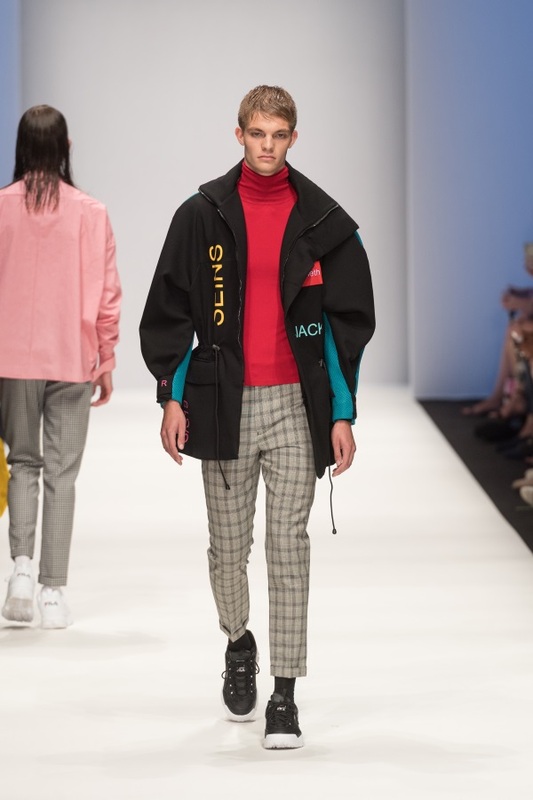 A mix of contrast makes an exciting colour palette – combining red, yellow, blue and mint with the basic black and white. 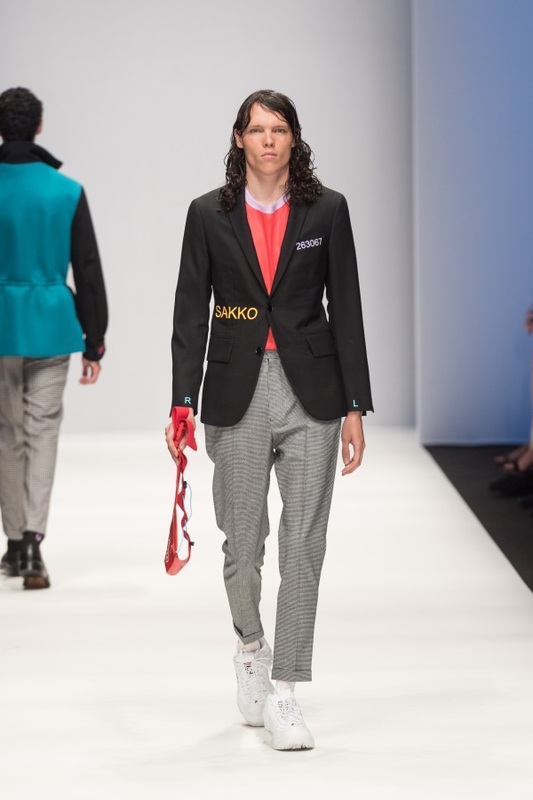 Classic sport Jackets and tailoring meet sporty mesh, bright colours and herringbone patterns, which adds to the androgynous touch of the collection. 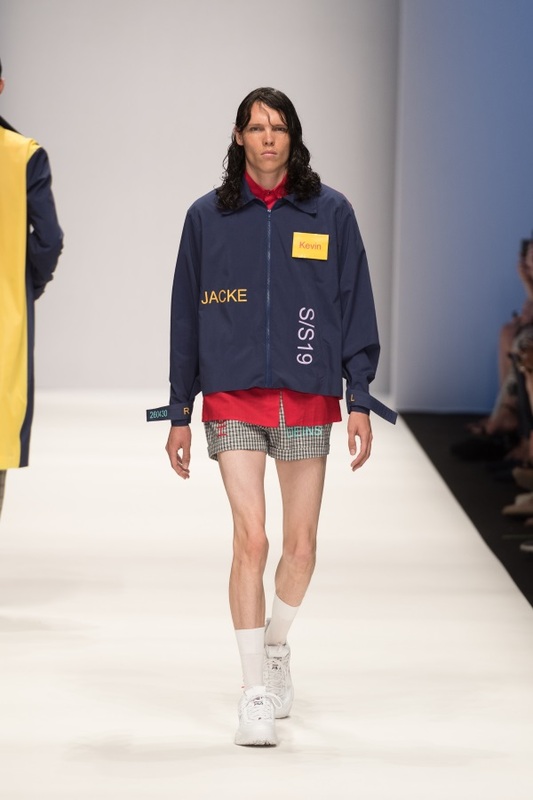 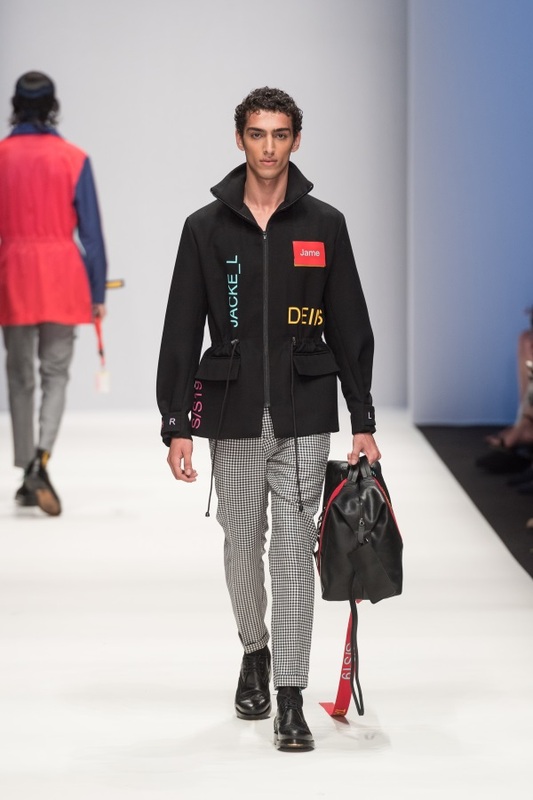  The designer plays with irony, labeling the garments in the collection as ‘products’ with product names and numbers openly incorporating into the designs. 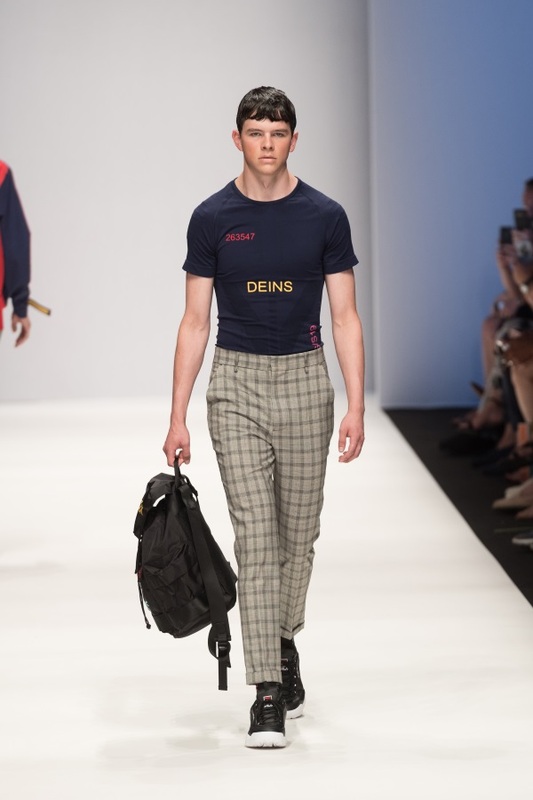 The distinctive clear cuts and contours of the brand create a sporty yet elegant look for the modern Man. 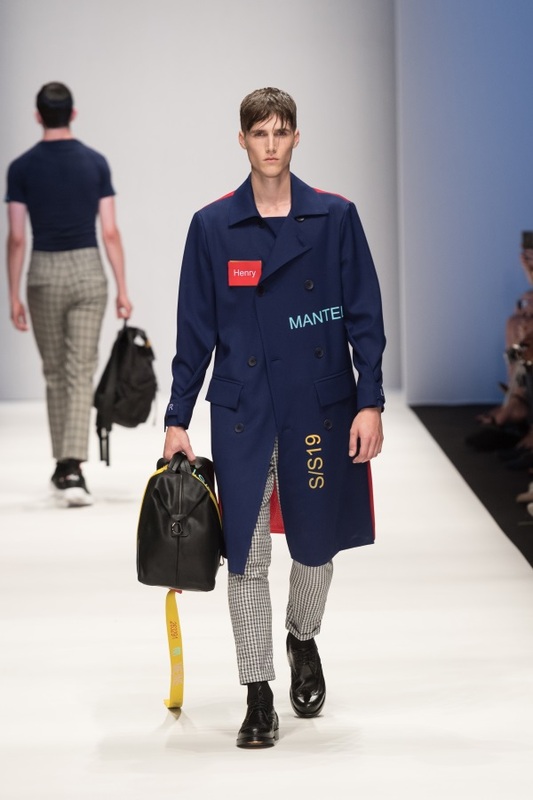 Once again IVANMAN presents a fun, chic and elegant collection which is super werable at the same time, combining classic cuts with bold colour explosions.